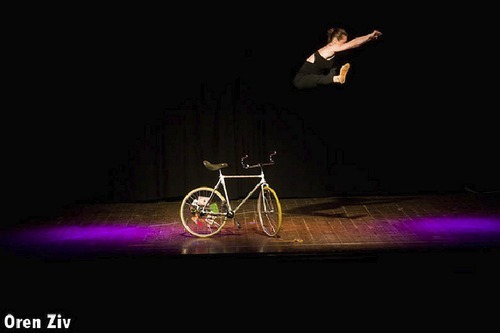 I really like this picture that Oren Ziv took in the most perfect moment of me doing my special jump off the bike. I have my own pictures of the group of international performers after the show. 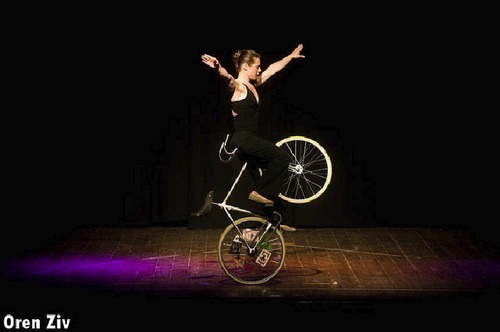 We were Florent Lestage (who had performed with me at the European Juggling Convention in Vittoria), Eric, Hans van Wynsberghe, Joris Verbeeren, Stefan and Cristiana Sing, Matt Hall and me. 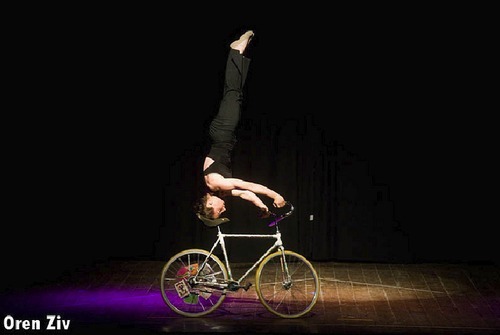 This entry was posted on Samstag, April 23rd, 2011 at 23:51 and is filed under Fixed Gear, Juggling, Performers. You can follow any responses to this entry through the RSS 2.0 feed. Both comments and pings are currently closed.